Once you’re ready to buy the home of your dreams, you’ll begin to hear a lot of mortgage terminology being thrown around. 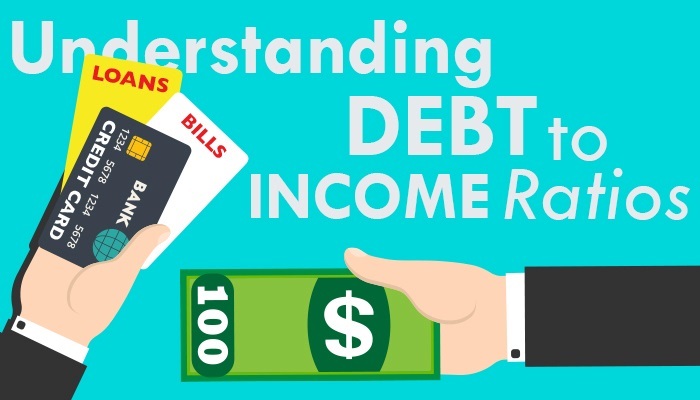 A common term you’ll certainly hear is “debt-to-income ratio”. Unless you’re a math wizard, this type of lingo can sound intimidating, but it doesn’t need to. Debt-to-income ratios are easy to figure and also use to your advantage; giving you the opportunity to know much house you can afford before you start looking. The debt-to-income ratio is basically the way your mortgage lenders will decide how much money you can comfortably afford to borrow. It is the percentage of your monthly gross income (before taxes) used to pay your monthly debts (not your monthly living expenses). Two calculations are involved, a front ratio and a back ratio, written in ratio form, i.e., 33/38. The first number in the ratio indicates the percentage of your monthly gross income used to pay housing costs, such as principal, interest, taxes, insurance, mortgage insurance and homeowners’ association dues. The second number in the equation is your monthly debt, such as car payments, credit card debt, installment loans, etc. Other living expenses are not considered debt. A debt-to-income ratio of 33/38 means that 33 percent of your monthly gross income is used to pay your monthly housing costs, and 5 percent of your monthly gross income is used to pay your consumer debt—so your housing costs plus your consumer debt equals 38 percent. 33/38 is a very common guideline that lenders use for debt-to-income ratios. Depending on how much you put down and what credit score is, the guidelines may be looser or tighter, plus guidelines also can vary based on each program. The FHA requires no better than a 29/41 qualifying ratio, while the VA guidelines require no front ratio but a back ratio of 41. What if you currently have a home, or don’t plan to buy one for a good period of time? You still need to know and control your debt-to-income ratio so you can avoid getting into debt. Impulse buying and routine use of credit cards for daily purchases can lead to unmanageable debt. Debt-to-income ratio not only affects your ability to purchase a home, but your other purchases as well. Debt-to-income ratios are powerful indicators of creditworthiness and overall financial health. It’s important that you know your ratio, and keep it as low as possible. Your consumer-debt number should never go higher than 20 percent regardless. • Jeopardize your ability to make major purchases—cars, homes, major appliances, etc. • Pay a higher interest rates and not get the best credit terms. • Have a hard time getting additional credit in emergencies. • Make sound buying decisions, and refrain from frivolous credit purchases and loans. • See the clear benefits of making more-than-minimum credit card. • Avoid major credit problems. Remember to calculate your debt-to-income ratio before you begin looking for a house. Get your credit in order so you can get the best credit terms, the lowest interest rate and the most house possible.